What should you consider when hiring a divorce attorney? At the Goodman Law Firm in Rockwall we’ve put together a list of five things you should consider when hiring a divorce attorney. 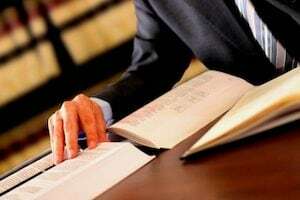 How much experience does the attorney have in divorce cases? What about other areas of Family Law? In many cases a divorce will also involve child custody or child support. It is best to hire an experienced attorney that has divorce experience and has handled divorce cases in your specific area. An experienced attorney, familiar with your area will know what to expect of judges, which will hopefully provide an advantage in your divorce case. At the Goodman Law Firm, we have experience handling divorces, specifically in Rockwall County, Dallas County, Collin County, Kaufman County and Hunt County. With hundreds of Family Law cases handled over the last 13 years, our experience and knowledge will provide and advantage as we handle your case. What do previous clients say about the attorney? Are they happy? If you know someone that has previously used the attorney, you can ask them or you can find reviews on the attorney’s site. Another good place to check for reviews or testimonials would be Google, Yelp or Yahoo Reviews. If you can’t locate any reviews online, request a list of past clients from the attorney that you could call and inquire about their experience with the attorney you are considering. We love hearing from our clients and offer testimonials from clients we’ve worked with. Our team is comprised of caring and experienced legal professionals who have extensive experience settling complex family law cases. One of the top complaints clients have when they become frustrated with their divorce attorney is lack of communication. Either the attorney was too hard to reach, or simply wasn’t clear on fees, the process, etc. Ask what the office policy is for the attorney. It is important that the attorney be accessible through email, phone or in person when you need them. The Goodman Law Firm is quick to respond to your emails and phone calls. We know that the divorce process can be confusing, emotional and tough to go through. That is why we take the time with every client to answer their questions, help put their mind at ease and navigate them through the entire process. We hold regular office hours in our Law Office in Rockwall and can always be reached by phone or email. Ask the attorney what their hourly rate is, if they charge a retainer fee, and what refunds are possible if the retainer isn’t used. Don’t forget to check what the consultation fee is, if the attorney has one. At The Goodman Law Firm, we explain all the fees, schedule of payments and any other questions you have up front. There are no surprises and you will know exactly what to expect before leaving our office. With all things above considered, ultimately it comes down to your comfort level with the attorney. Do you trust and have confidence in his or her ability to represent you? If you answer isn’t “YES”, then you should keep looking until you find an attorney you absolutely trust to handle your divorce case. Our firm is committed to ensuring that the rights of our clients are upheld and that their best interests are always given the highest priority. We do everything possible to provide the best representation and the best outcome for your divorce case. We also offer a FREE consultation of your case. If you have any question regarding your divorce case or any other area of Family Law, please contact us today to schedule an appointment.